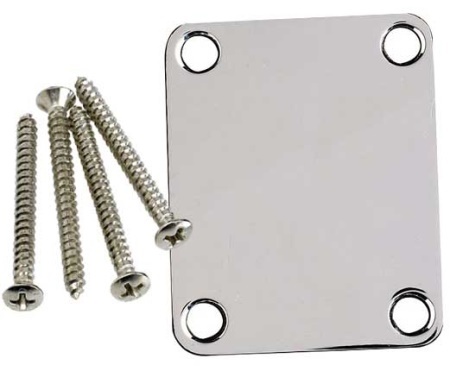 Neck plates used to mount the neck to the body of most Fender® guitars. Available in four and three bolt configurations in chrome and gold finishes. Please see SKU descriptions to ensure proper ordering.